"This is a challenging and promising book, breaking away from traditional perspectives that have dominated the academic debate for about 30 years, in particular with respect to human performance, decision making, and communication on a team level." "Although the aviation industry has made tremendous progress during the last three decades by considerably reducing the number of fatal accidents, risk investigation models are still linear and new approaches, such as network-based models, must be developed. The information network approach provided in this book is crucial to better understand, analyze, design and evaluate current complexity of aviation human-system integration." "The authors undertake a comprehensive and systematic analysis of a range of approaches to error causation, and have extended this analysis into systemic accident and incident causation. They both advocate and demonstrate important new methodologies that can be used to draw meaning from complex occurrences, thereby enabling the identification and implementation of meaningful interventions. Finally, they tackle the issue of the validity of post-hoc analyses of accidents and incidents and how models of causation might be examined empirically. It is a text that casts an eye both to the past and to the future of modelling and the prediction of complex events." "... provides a new and very promising approach to understanding the complex, systemic, and non-linear causes of accidents in both commercial and general aviation. It represents a very important contribution to the field of aviation accident investigation, and one that should be read by both researchers and practitioners in that field." 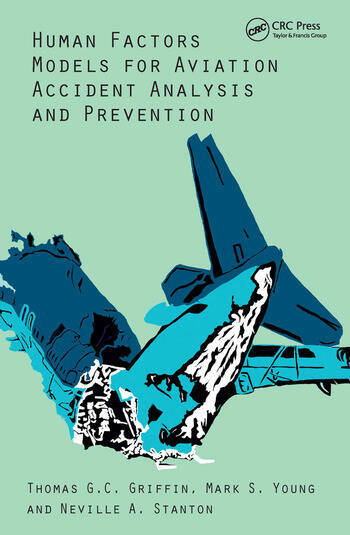 "This book argues for the systems-thinking approach to accident and incident investigation. As such it is very much ‘on message’: bodies like the International Civil Aviation Organization (ICAO), the European Aviation Safety Agency (EASA) and the UK’s Civil Aviation Authority (CAA) all recommend the holistic, systems-thinking-informed approach to investigation. Based on original research conducted both in the laboratory and in the field, the authors offer a novel systems-analysis tool based on Bayesian precepts. Specifically, the tool attaches probabilistic risk assessments to pilots’ decisions/actions. The tool can be applied retrospectively and prospectively. As, thankfully, disasters become less frequent, the authors make an eloquent case for incident-centrism in risk-assessment: "Incidents work well to populate the information networks, and key to their use is to identify the potential outcomes, and the reasons for a more positive outcome than an accident" (p 201). Viewing incidents through Prof Brian Toft’s Active Learning prism will save lives."